We have a brand new team entering RHPK this month, Alpha Racing. 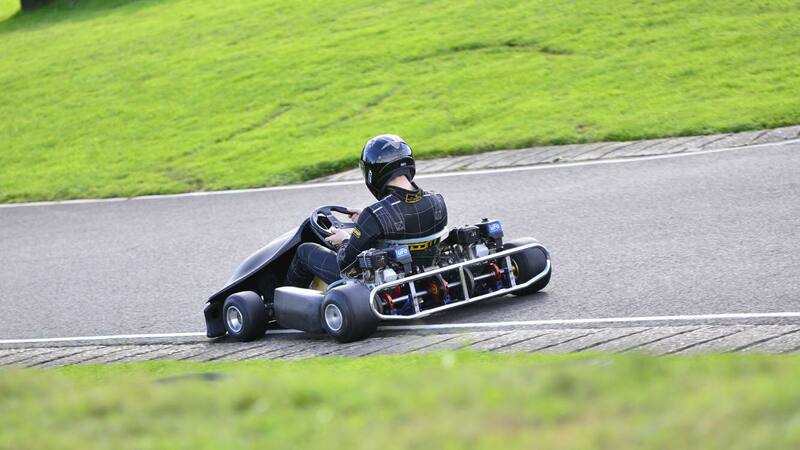 Heading up the team is Justin Whitmore, aged 23 and has been karting from the age of 8. Justin starting karting at his local track Swaffham where he joined the Cadet Club. 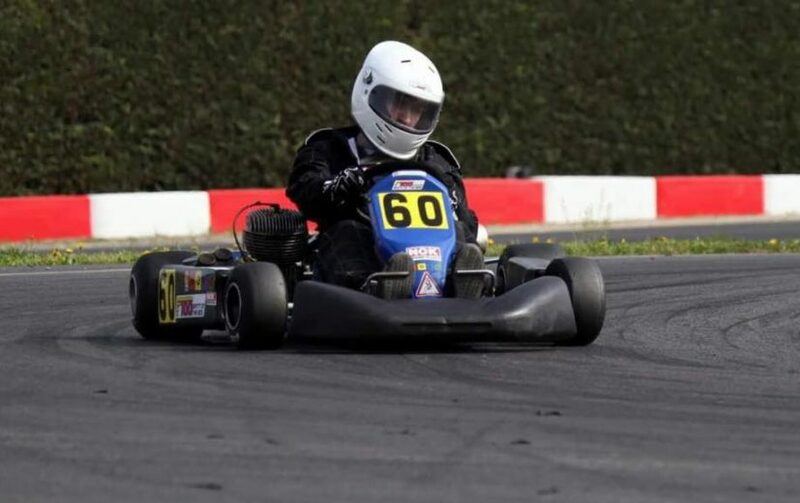 He later went onto Own a Pro-Kart and started racing at various tracks such as Red Lodge, PFi & Tattershall – winning a number of championships. Justin moved into the Junior Max class at the age of 15 at PFi. When Justin turned 17 he started racing in the British Super Kart Championships. This will be his first time around Ryehouse! Joining Justin is Luke Johnson. Luke is 19 and fairly local to Ryehouse. He first started karting in the Spa Cup at Ryehouse when he was 15. Not content with Hire Driving Luke strived to get a kart of his own and went onto Marshal at Ryehouse. He went onto join L.R. Racing (Not the current L.R Racing) as a mechanic a and raced with them a couple of years ago. 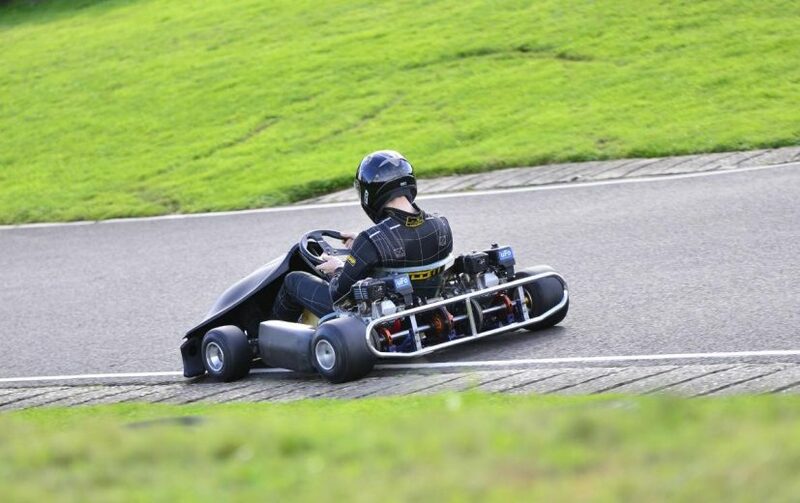 It was racing in RHPK with L.R Racing where he learned most of the basics on how to set up a kart. Later on, Luke went on to buy a kart for F100 – unfortunately, Luke fell victim to the bottomless pit of owning a kart and racing it on your own! I knew I couldn’t do it on my own, so I advertised on the RHPK page to see if anyone needed a driver because it seems everything was looking really good down at Rye House. It was here I met Justin Whitmore and not long after I am excited to say we have entered into our first race. I am keen to put my knowledge of the track to good use. We are both eager to get going and get out racing! The team is named Alpha Racing and are running a 7Kart XV Chassis. This will be their first time in the series and racing together! We look forward to welcoming the pair to RHPK!